A while back I reviewed the original Mipow Playbulb. This was great fun with its built in speaker too. To recap on that review review click here. “PLAYBULB rainbow body shape is a trapezoid. It is much slimmer than traditional light bulbs. The design idea behind PLAYBULB rainbow is to illustrate the refraction of sunlight ray entering a raindrop and eventually forming a rainbow. Simply Install a Rainbow for a Brighter Penetration. The other good news in their app will work for the other Playbulbs. In terms of compatibility – all iOS devices that are running iOS version 7 or above, Android devices running Android 4.3 or above and both having Bluetooth® 4.0 or above. Sorry no windows phone support. The app allows all sorts of fancy options from shake, timers, and a colour wheel. The app can also control several Playbulbs. 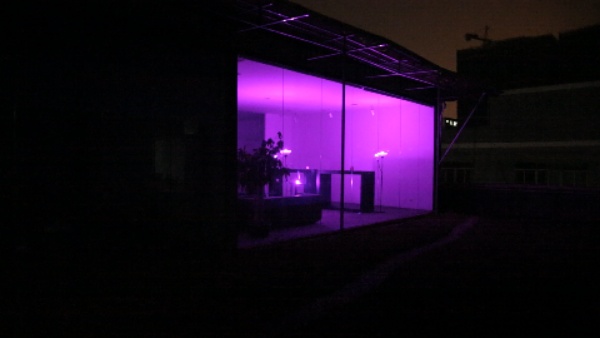 According to Mipow the bulb also is energy saving too. 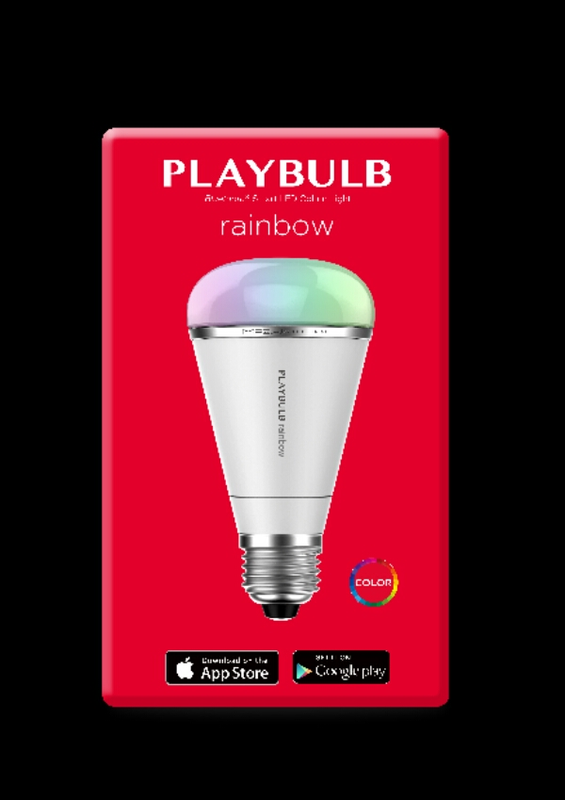 The PLAYBULB rainbow is equal to 30 regular light bulbs as each PLAYBULB rainbow is optimized to a high energy efficiency. Each PLAYBULB rainbow is 5 watts at full power performing brightness with 280 lumens and 30,000 hours life time. While regular light bulb with around 300 lumen normally uses up 40 watts power with around 1000 hours lifetime. This is my sort of gadget ☺ I received the sample Playbulb Rainbow from Mipow before Christmas and I’ve been having a blast with it. It’s different from other wireless bulbs in that it uses Bluetooth to connect to your phone. You can add many more Playbulbs even though it’s a Bluetooth connection. There are pros and cons using Bluetooth over wifi but being honest Bluetooth will still work when your broadband is down and if you’re going to a friends house you can bring your lamp and have all the fancy effects. Below are a few examples of a room with the lights activated. It really is a powerful light bulb. The brightness can be adjusted too. Whilst purple looked fab in the room, red was also highly dramatic. And a screen shot from the Android app. The app is also available for Apple devices too. 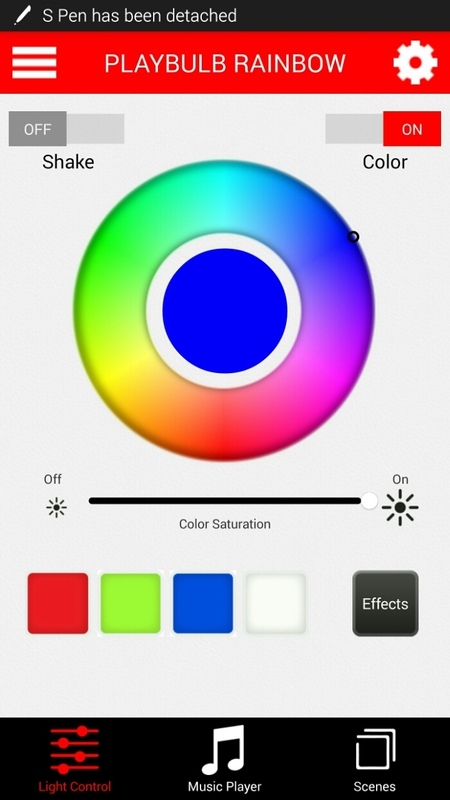 From within the app you can also choose the colour for the bulb, brightness, timers or set for a time off, enable special effects which include changing colours automatically with control of the speed, scenes for different moods or rooms or light changes to your music. I was using the new updated app which at the time of testing had one bug. On first start up the tutorial screen appeared. You just hit skip to get passed this stage but it would be better if you could stop this screen appearing again. 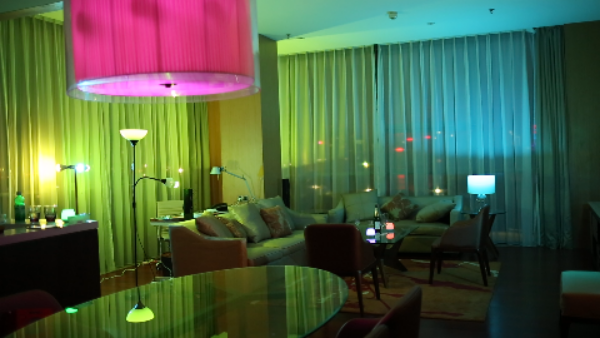 So over Christmas I used my clip on lamp with the Playbulb Rainbow and every evening changed the lighting mood with colours and one night let it party away in time with the Christmas music. My friends all want one now! So it’s a recommendation from me too.